Summer is slipping away…here’s what was up in July! Oh and this post is brought to you by Instagram LOL! Eating…Salads. Tomato sandwiches. Watermelon. KIND Pecan/Dark Chocolate bars. I had to get a K&W fix this month! I also have been making the Hungry Girl muffins. Hello Fresh! arrived yesterday – I hadn’t ordered since April! I don’t do pasta but the beef ragu pasta was great. Reminiscing…Last week I shared another summer memory. Vacation anyone? We’ve been up to…Work (adults), loving summer (kids), swimming (all of us). Dreading…Not really anything at the current time! Isn’t that nice?! I think so! I do have a DDS appointment tomorrow and that’s not really something I look forward to….and I have $400 worth of stuff to pay for for the fall by Friday so…I can dread that right? Working on…Getting back on my training schedule. I always stray away from the gym in June & July because I’m outside and in constant motion. Now I get to swipe the membership again and get back into the flow. Excited about…Vacation! It’s coming up! Watching…Real Housewives of OC, Real Housewives of NYC, Southern Charm Reunions (Shep looks terrible as does Kathrine! ), Odd Mom Out, that Oklahoma show… can I just say Bravo? Listening to…Still Bieber. I also like his ex’s new song Bad Liar. Oh and I may be guilty of playing a lot more Otis Redding, The Drifters, and more this month! Wearing…A friend gave me three pair of Dansko sandals last week. They are great! I got a new pair of sneakers…trying Nike again. Lately, I have been in tanks and running shorts – y’all it’s 90+ degrees I’m not caring about looking cute!!! Oh and I’m wearing my hair darker. I decided I needed to relax on the blonde…go me. This weekend…Trying to decide. I’m supposed to look something up that is happening in the mountains so maybe we can go up there and check it out. We haven’t had weekend plans in WEEKS and that is awesome. Next month…Vacation, baby boy turns five, and fourth grade starts. WHOA! Not to mention preseason football! What else…I shared at the end of the school year that we would be transitioning to homeschooling. After a lot of thought, prayer, and discussion…oh and life changes – we have decided to continue with public school. It was not an easy decision and it took a lot out of all of us but our Cammy B has thrived in public school and though I would love to give her more I know that it would be a detriment to her to have to move away from what she is so well established with. The fourth grade team at her elementary school is top notch and I know she will have a great year just as she did with her fabulous third grade teacher. Now…with that being said – I am going to go to school starting in September! Nothing major really…just taking the next step in this thing I love – residences/properties. I have decided to become a licensed real estate agent here in North Carolina. I’m not sure what avenue I want to take with it at this moment but I am looking foward to an autumn 2k17 of growth both for my fresh fourth grader and myself. 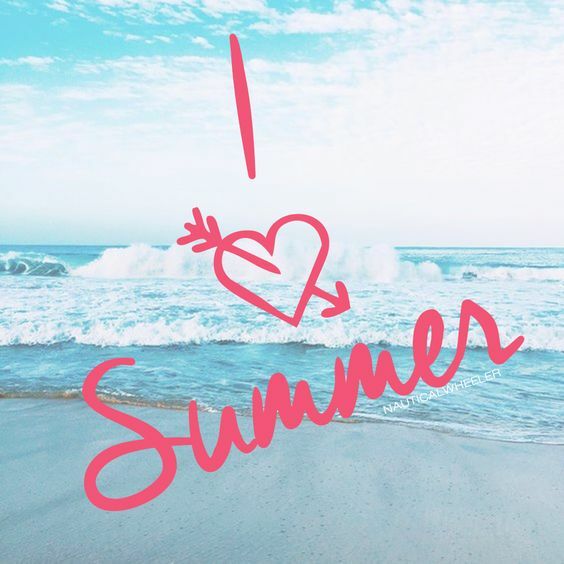 Favorite part of summer….I love every square inch of it but since I became a mom to a school kid I start to really appreciate mid June – late July because that’s when my kiddos are happiest. After that window they seem to get tired of break and ready to return to their school routines. Of course getting them ready for back to school by instating bedtimes again is a major war! But those weeks before they are ready for the routine of a school year are great – late nights, fun days, and hardly any complaints! I tried to comment on your blog but it won’t let me. Just an FYI! I posted that you had had a terrific summer and summer isn’t even over! Heart! Yay for some vacation time coming up, it will recharge you my friend! I hope this day is full of sunshine and love for you! Summer use to be my very favorite but it seems like all I’ve done is work this year and I need more beach in my life!! I seriously love me some fried okra girl…could eat my weight in it. So excited for your new venture! Praying baby girl will have a great school year! Thanks boo! I guess you guys are headed back in the next two weeks? I haven;t eaten a tomato sandwich all summer, so that’s gonna need to change soon. I am so excited for your new adventure. I love properties and always thought that RE was a field I would love. Alas, I work in an office, doing finance. Good luck with the school year. I know you are always looking out for what’s best for your kiddies and Mama knows best. Eat you one ASAP! Finance pays well so – great choice! If I can get through the class I will be one happy girl! NC has the hardest exam in the country and I’m like – but why?!?! Thank you for your sweet words! They mean a lot to me! I’m so excited to read about your upcoming career goals! You got this, Babe! And 4th grade, too! XoXo – there will probably be a lot of snaps about it LOL! I think you may love summer even more than I do girl. So excited for your big fall. I know those major decisions like that are so hard and we find our self agonizing over which direction to go but it looks like you found your way and I know it is going to be great for your sweet crew. Good things are ahead friend, good things! Hard as can be! I feel like we have decided on what is our family’s fit. Thank you, sweetie! XO! What a fun fall to look forward too! I love this post…because well I think you and summer are the bees’-knees’. I don’t want summer to end but I am starting to crave routine and FOOTBALL! My kids are starting to talk about school as well so that always gets me a little more excited for school to start as well. We still have a month and are going to enjoy it to the very end! What a great recap of your month! Mine are talking School too. So it’s difficult for me to hear (lol) but does make me happy for them!!! I think you are a bees knees girl too! Football ahhhh yes!